But before Obama’s most famous supporters are able to start checking items off their wish lists, they’ll need to develop a working relationship with him. And that’s where things get complicated. They acted as surrogates, stumped on the campaign trail and held lavish fundraisers at their homes. They donated heaps of cash, led voting drives and made insanely viral Web videos. And last month, they descended on Washington to celebrate with their publicists, their Prada and — finally — their president. 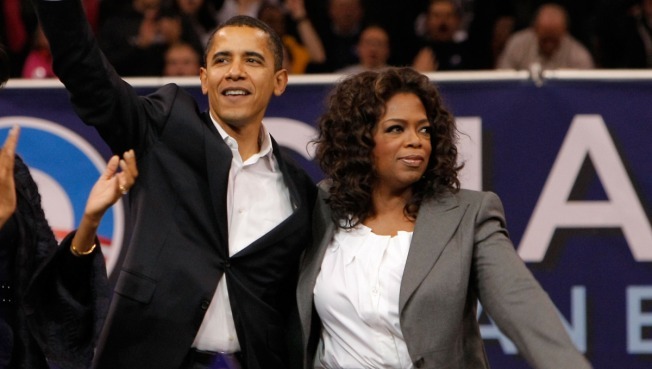 So what do celebrities want from President Barack Obama now? More than they’re likely to get. The celebrities may fare better on matters of substance. Hollywood is launching its biggest agenda in years, hoping a Democrat in the White House will mean more action on Darfur, the environment, stem cell research and health care — all big causes in the celebrity set and all areas where it seems very likely the new president will at least attempt to make progress. Even as showbiz types marveled at the Inauguration’s historical significance, there were grumblings over the Rev. Rick Warren’s invocation and the absence of the Rev. Gene Robinson — a gay Episcopal priest — during HBO’s initial telecast of the Lincoln Memorial concert. At the Out for Equality Ball, led by Human Rights Campaign, some producers were privately dubious of the Obama team’s claim that the omission was just a miscommunication. It’s not hard to see where more significant rifts may develop. During the Bush years, the entertainment industry’s anti-war contingent thrived. If an expanded war in Afghanistan creates a quagmire, the industry’s very vocal peace activists could quickly lose patience with Obama. Music legend Quincy Jones, boosted by hopes that Obama will focus new attention on the arts, wants to pitch his idea for a Cabinet-level “secretary of the arts.” An online petition has gathered more than 205,000 signatures. Obama could feel the need to tread lightly here. From Robert Mapplethorpe to the debate over stimulus package funding for the National Endowment for the Arts, federal money for the arts has often been a weapon for the right. But industry advocates are unmoved by these political considerations. Another idea floating around Hollywood is the creation of a group of celebrity surrogates similar to the United Nations Global Ambassadors program. Yet Hollywood’s liberal tendencies also mean it can quickly turn against the kind of moderate compromises Obama has promised. Welfare reform landed with a thud among many Hollywood progressives in the mid 1990s, only to gain support from Clinton and the Republican-controlled Congress. But after eight years in the wilderness, Hollywood is trying to regain influence in the White House. It is unclear what role Tinseltown will play in the new administration or how far discussions have gone between the White House and industry officials. White House spokesman Nick Shapiro said the Obama campaign saw an “unprecedented amount of support from citizens all across this country, and the president was clear throughout the campaign that elected officials in Washington alone aren’t going to bring the change we need. “That power lies in the hands of Americans who are engaging their communities, whether they are celebrities in the media or hard-working middle-class families who are also fighting every day to keep their jobs and send their children to college,” Shapiro said. As someone who’s arguably the No. 1 celebrity — and who has taken hits for it — Obama seems well aware of the perils of getting too close to showbiz personalities. He spent comparatively little time during the campaign courting Hollywood’s political establishment, the likes of Haim Saban and Norman Lear and Warren Beatty. US Weekly editor Janice Min agrees. But if Obama doesn’t need validation from celebrities, do they need it from him? Ted Johnson is managing editor of Variety and author of the blog Wilshire & Washington. Anne Schroeder Mullins contributed to this story.